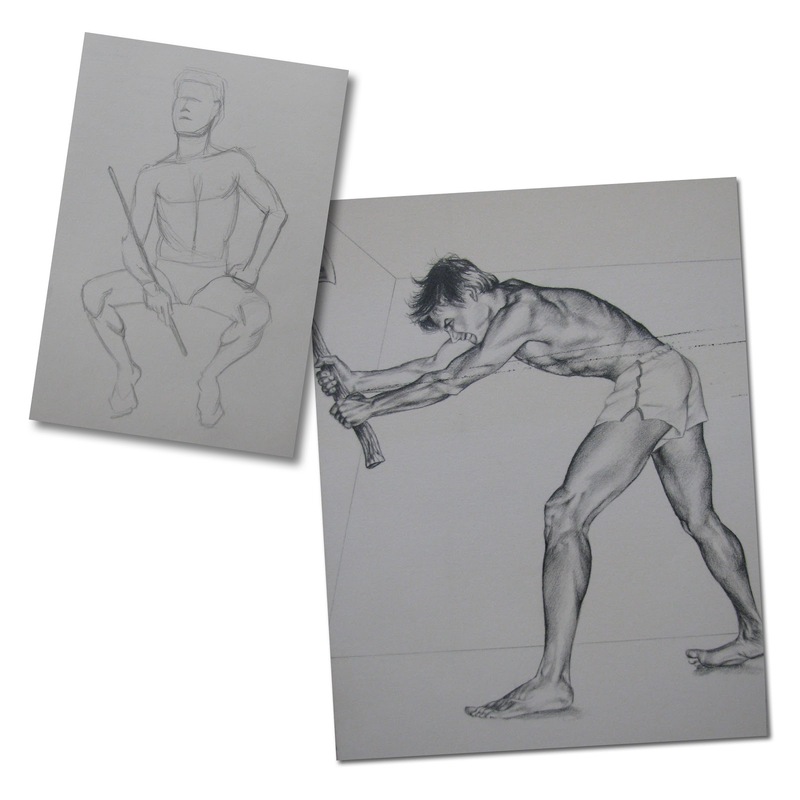 As I learned nearly three decades ago, one of the unexpected benefits of being an art student is that your friends will readily disrobe for you. Willing models are always close at hand for the sake of art. Case in point—my friend Kevin. 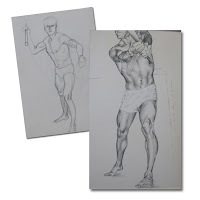 With his athletic and sinewy physique, it was very easy to envision the skeletal and muscular structure beneath the surface, which made him easy to draw. 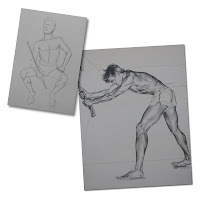 His figure (just like everything else in nature) can be broken down into simple shapes. 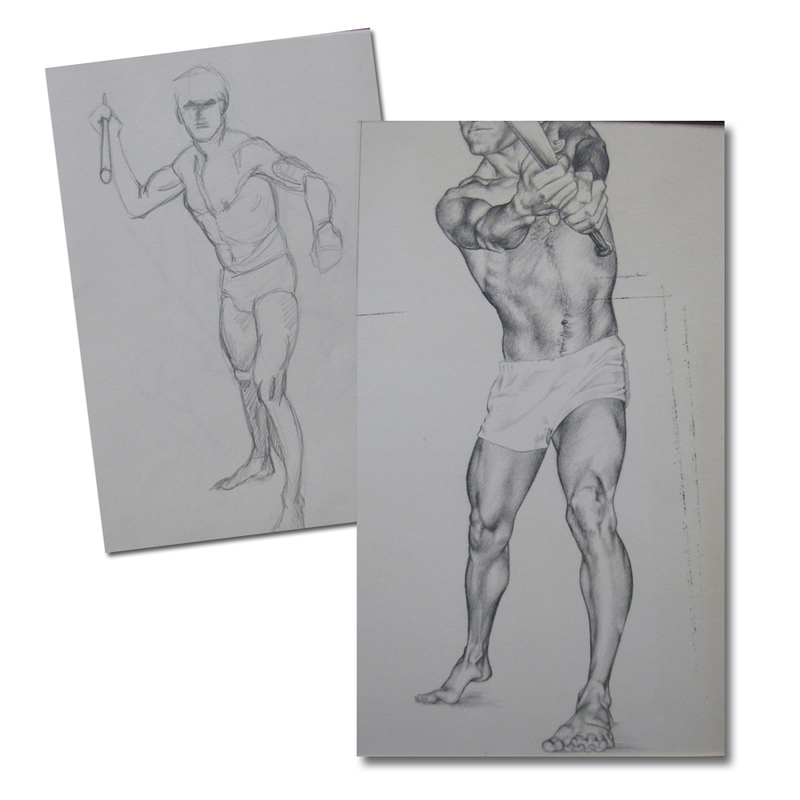 Sketching basic forms first creates volume; adding details later provides interest. Similarly in carving, if you break down the structure into general shapes—rather than focus too soon on the details—it will provide a solid foundation for your project. Unfortunately, I'm a gal who "can't see the forest for the trees," so I must force myself to ignore details when I begin to carve. In art school, we were taught that if you squint, the details are obliterated and you see only basic configurations. We used that technique in typography class in order to determine whether or not characters were well-spaced. It forced us to focus on negative and positive relationships rather than nuances between letters. Maybe that's why Shaker furniture is so appealing. Their furniture is the "squint" version of the fancier pieces of the age. They still hold up to design scrutiny because they're perfectly balanced, the dimensions are pleasing, the overall shapes are simply correct. If the squint version of furniture isn't working, it's unlikely that ornamentation is going to save it. Similarly in carving, if the basic shapes don't seem right, the details probably aren't going to give you the results you want. 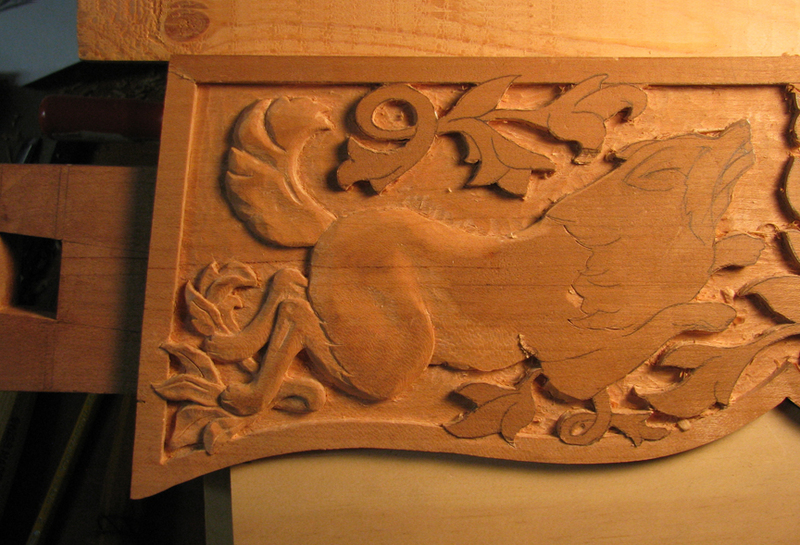 This is what I've noticed as I'm trying to get a grip on relief carving. I am not completely able to put this observation into action as I have not yet mastered control over the tools (and may never). But it's an enlightening learning experience. It reminds me that all the arts share a common thread. And sometimes those threads wind up on the art studio floor. Thanks, Kevin!